The Symposium for Undergraduate Research & Creative Expression is a St. Edward’s University signature event. Every year SEU hosts SOURCE to give outstanding student researchers, artists, and designers a chance to showcase their most insightful and impressive work. Presentations and posters span the fields studied at St. Edward’s, from Biology to Theater Arts and Psychology to English Writing. During this one-day symposium students present their research and creative works at oral, poster, lightning, and roundtable sessions. 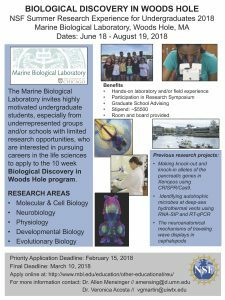 I am the co-director of the NSF-REU program at the Marine Biological Laboratory in Woods Hole, MA. 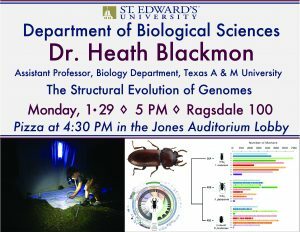 I am reaching out to those of you that I have known over the course of my time at the University of the Incarnate Word (Biology) and those of you that I believe would have students that would benefit from an NSF-REU experience. We are seeking to support students at the Freshman, Sophomore, Junior level of study who are interested in pursuing graduate degrees in STEM. NSF especially wishes to support students of underrepresented groups and students who have low research opportunities. The student participants also have access to networking opportunities with the many world-renown scientists in residence over the course of the summer. The U.S. Environmental Protection Agency (EPA), the National Association of Clean Air Agencies (NACAA), and the Association of Air Pollution Control Agencies (AAPCA) jointly sponsored this national conference on air quality in Austin, Texas, January 24 – 26, 2018. The meeting brings together representatives from air quality management agencies, scientists, instrument companies, and other stakeholders to discuss the latest resources in air quality and plan for the future. The conference was originally scheduled to take place September 11 – 13, 2017, but in the wake of Hurricane Harvey, it was rescheduled for this month. Pictured below are Dr. Morris (left) with two of his former students: Daniel Alrick (center, now with the Air Quality Management District in San Francisco, a presenter in his session above) and Mark Spychala (right, currently a research assistant in Dr. Morris’ group at SEU). 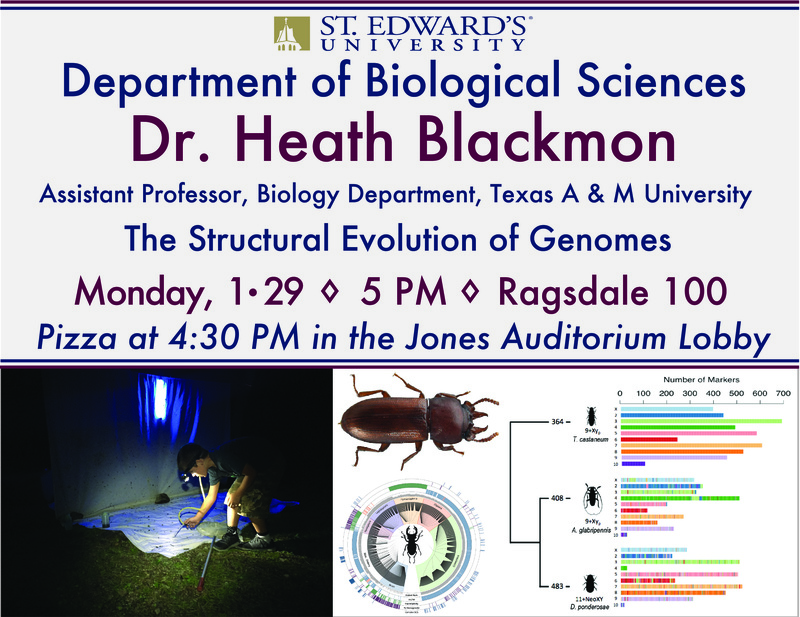 The Biology Department is pleased to host its first seminar speaker of the calendar year, Dr. Heath Blackmon from Texas A & M University. Please join us for this event – pizza will be served beforehand in the Jones Auditorium Lobby.